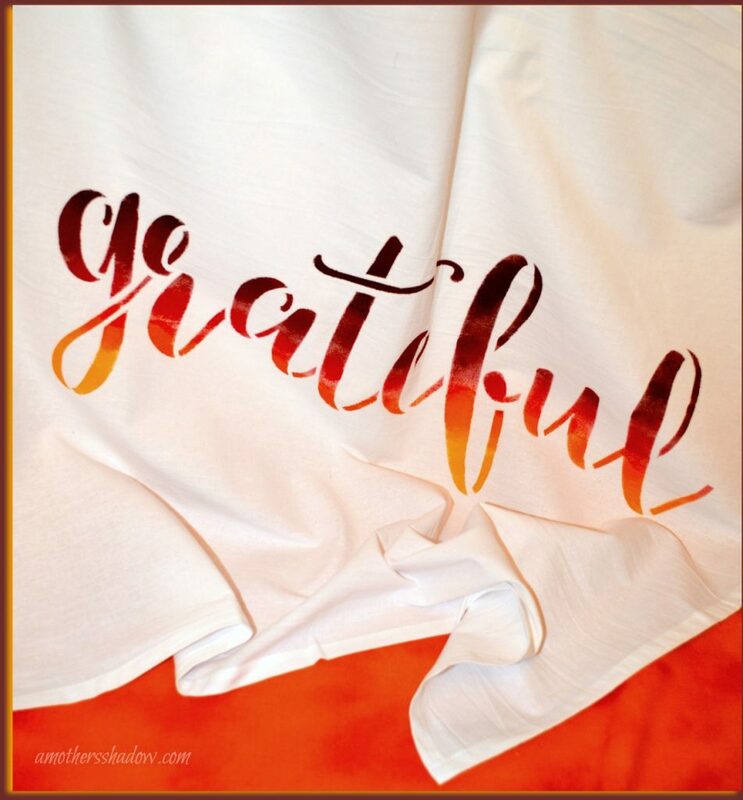 Sometimes we forget to take a thank you or host/hostess gift when invited to Thanksgiving dinner or the events surrounding it. But what to take? It’s just good manners and polite. 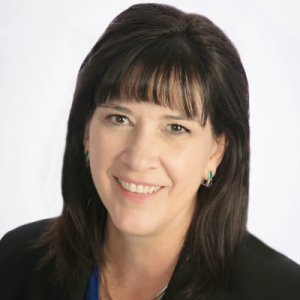 I like to take something useful….and hopefully that they want is preferred. 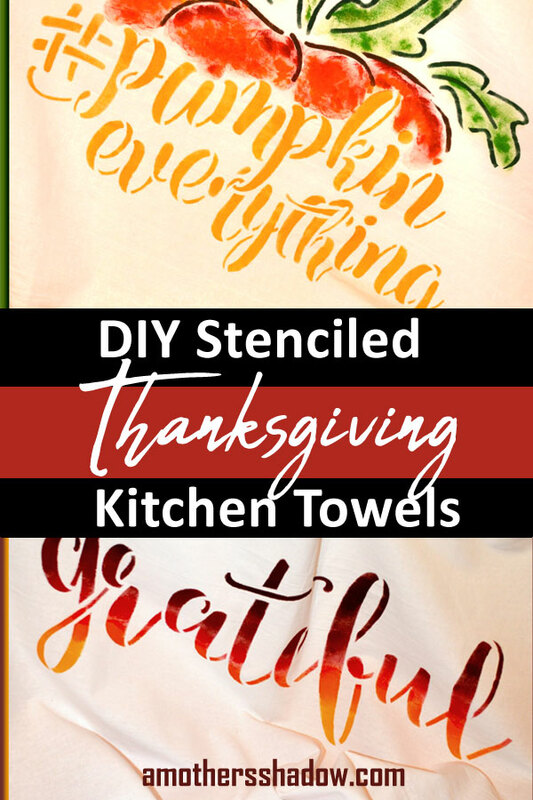 These DIY Stenciled Thanksgiving Kitchen Towels are perfect for everyone! They are very easy to make and gorgeous too. 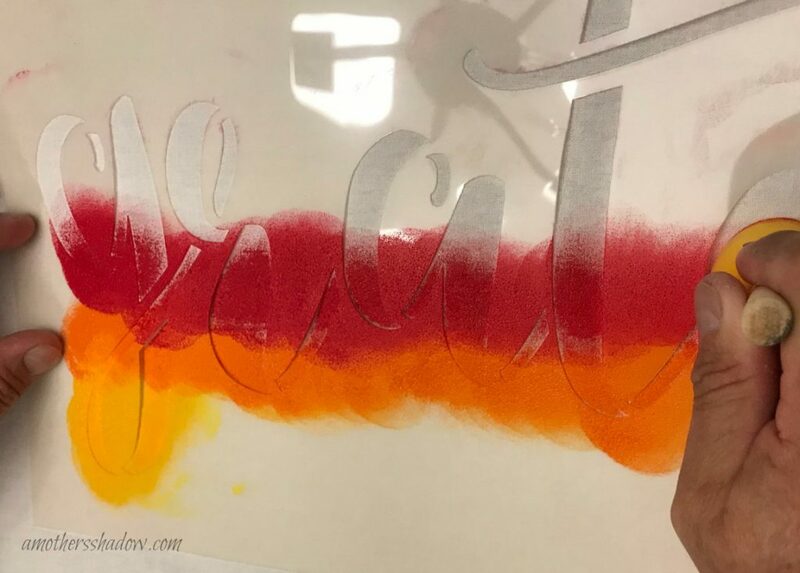 We have joined up with our friends over at STENCIL REVOLUTION for another fabulous project and I LOVE how this came together! 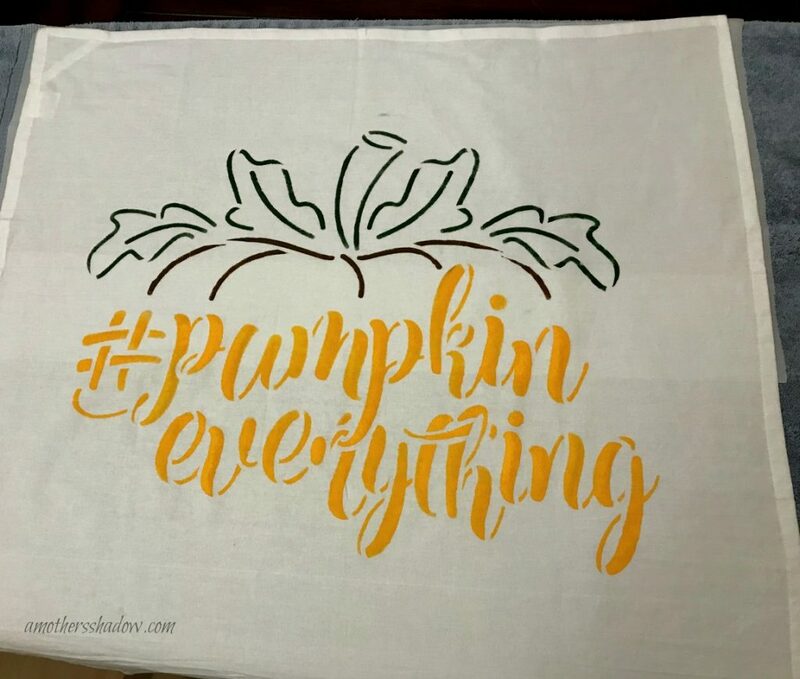 The towels we used are nice quality flour sack towels (I’ll give you the links), the paint does not wash out or fade when washed (at least in our experience) and the stencils from STENCIL REVOLUTION are the BEST! They have different sizes you can choose from because they are awesome like that, and in these two patterns they offer at least two smaller sizes than what we used. 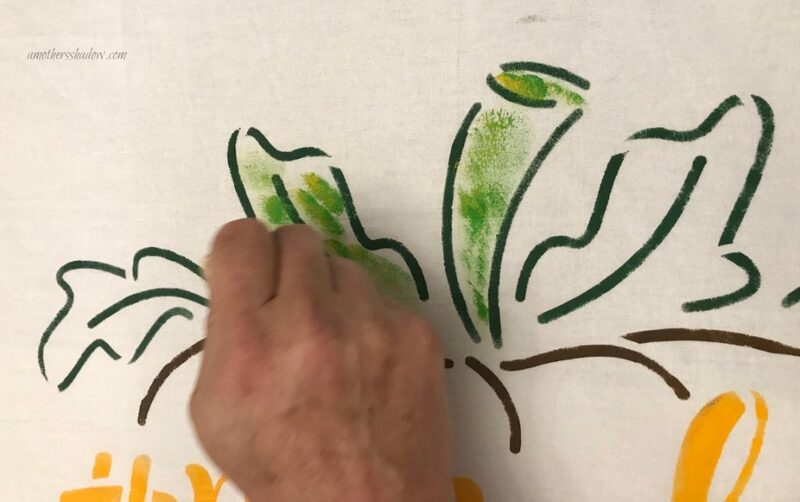 So on the towel you could use the stencil in the corner, or one side, both sides, two corners, all corners, or like we did by taking up pretty much the entire towel. Let me show you how we made these and what more of what they look like. 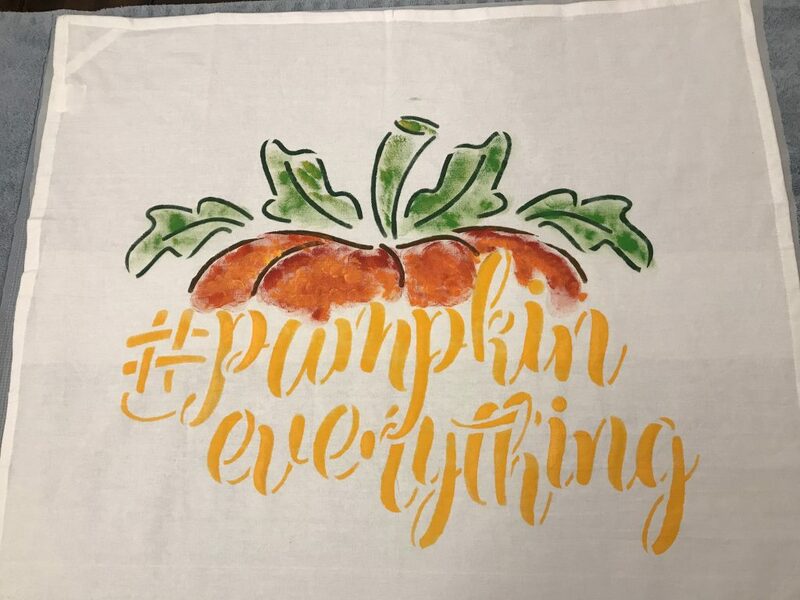 High Quality Flour Sack Towels like these, preferably 28″x 28″ (these have a loop for hanging) meant for holding paint, embroidery, etc. 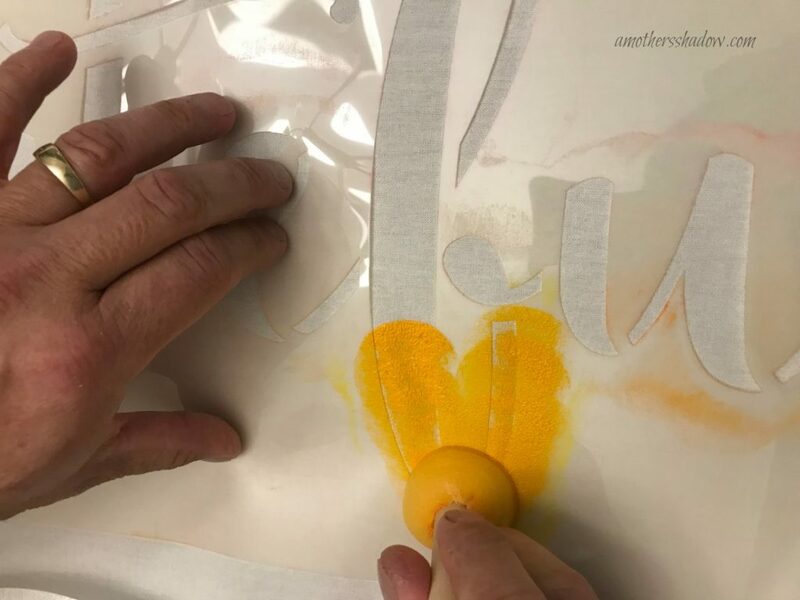 Cut a long length of parchment paper, plenty to go the length of the stencil and place on top of your towel or table cover where you are going to work. 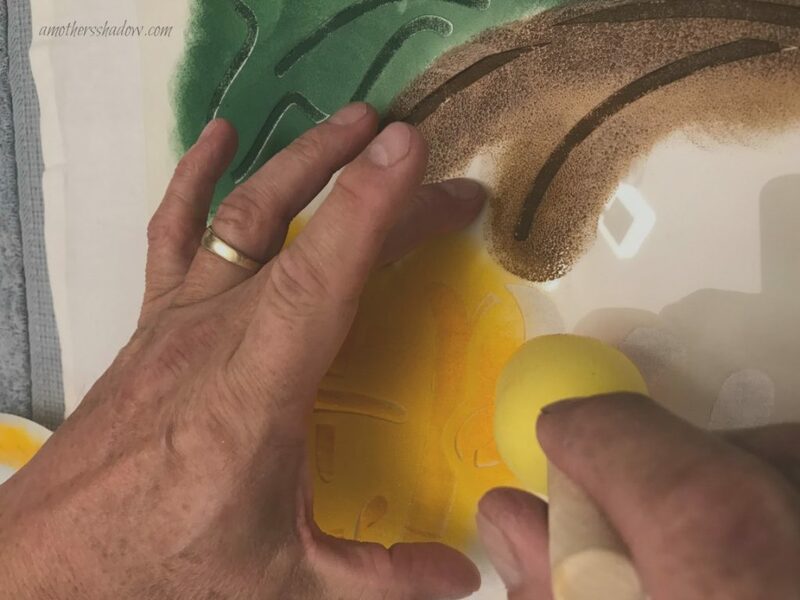 My handsome Hubby Stan is the amazing creative painter – all around fabulous brain – and loves STENCIL REVOLUTION products! He is showing us how how he creates the ombre effect on these towels. I have a video with him demonstrating this technique at the end of this post HERE if you’d like more detailed information. Stan begins at the bottom of the stencil on this particular towel. Towards the top, until all of the letters are covered. 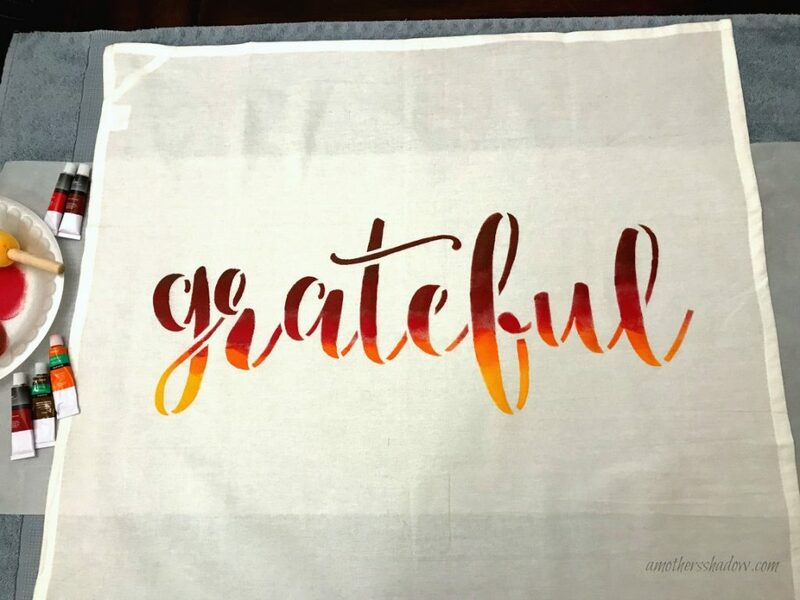 When finished, take off the stencil and there you have the fabulous GRATEFUL towel! 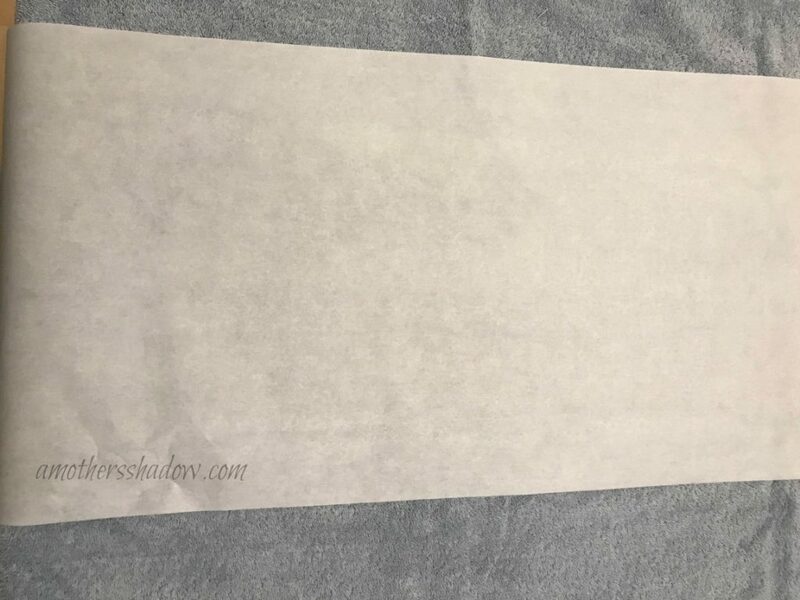 Cut two long lengths of parchment paper, plenty to go the length of the stencil and place side by side on top of your towel or table cover where you are going to work. 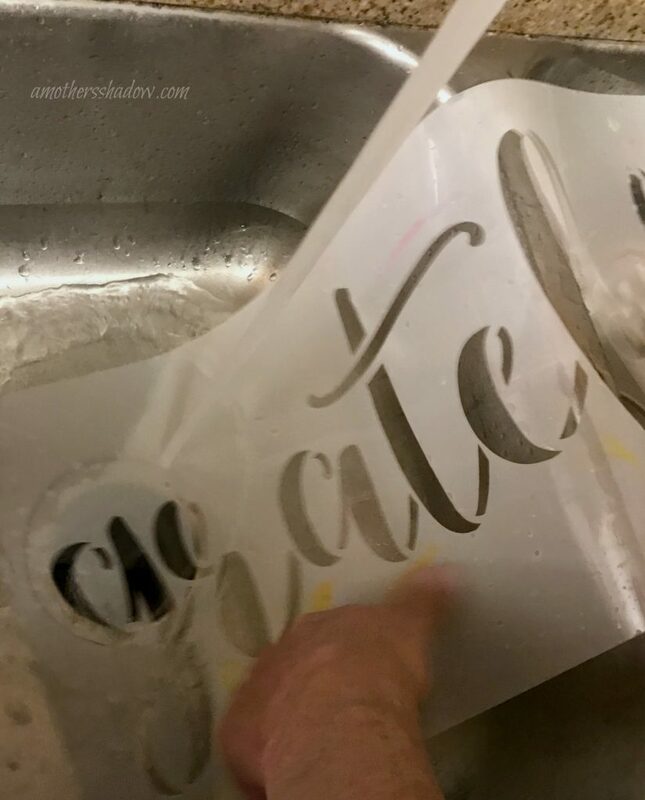 Place the kitchen towel on top and then the stencil you are going to use. 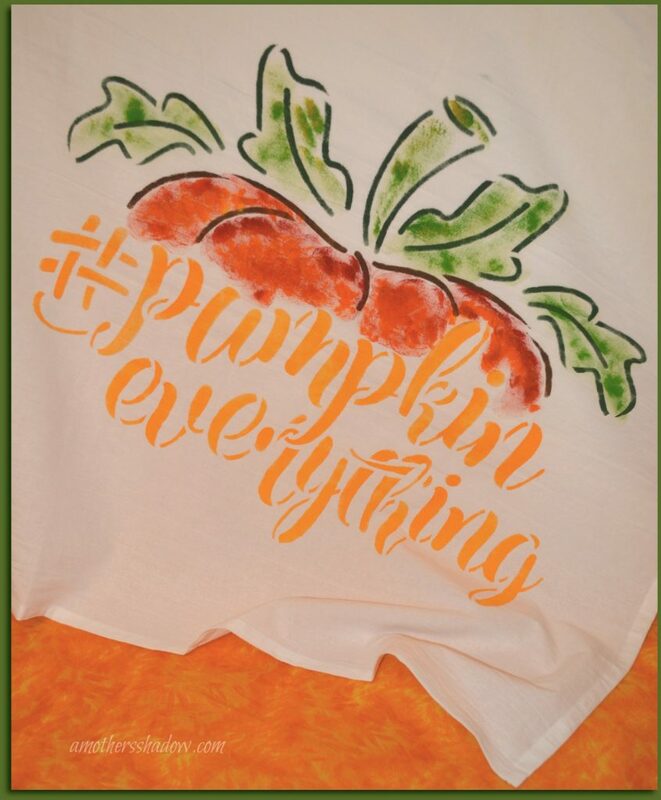 If you want to do it like Stan did, he filled in the letters and the outline of the pumpkin and leaves first. He then filled in the leaves and stem. 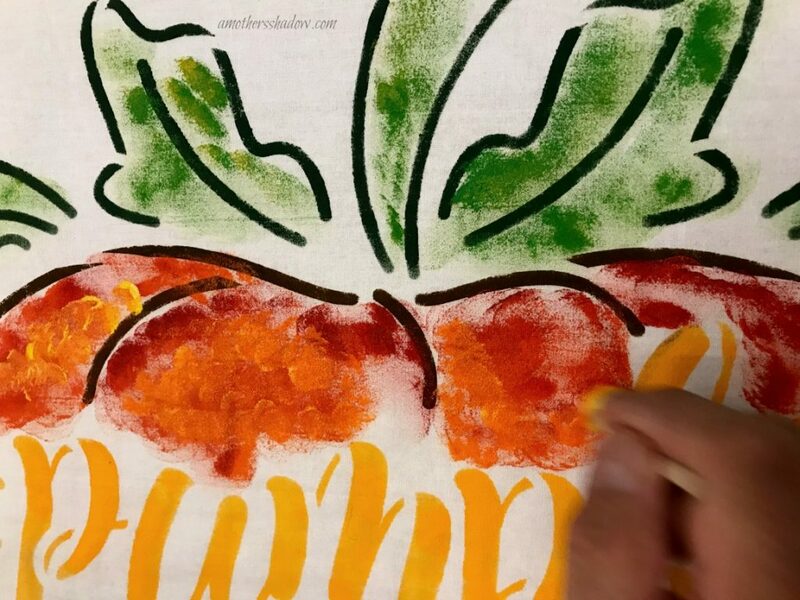 Next he dobbed the pumpkin with the colors he wanted to work with and blended them. 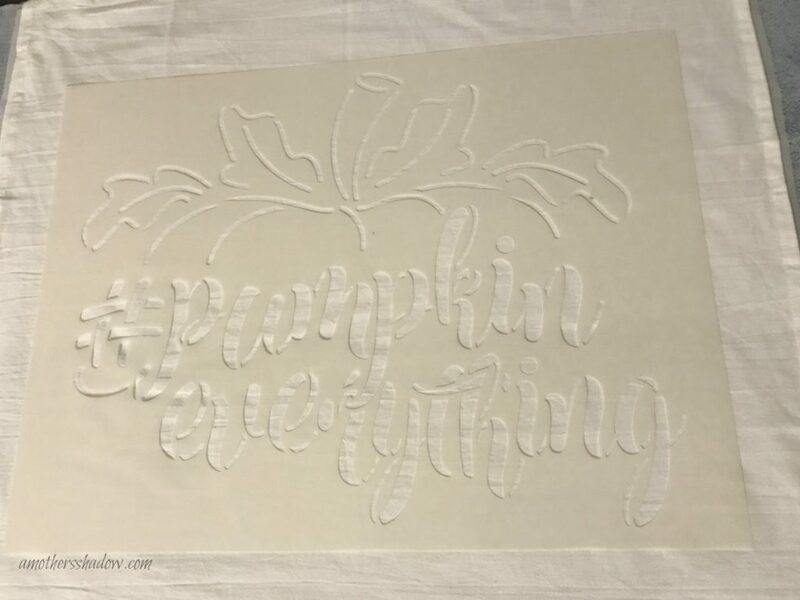 Removed the stencil and there you have the AWESOME #PUMPKIN EVERYTHING TOWEL! 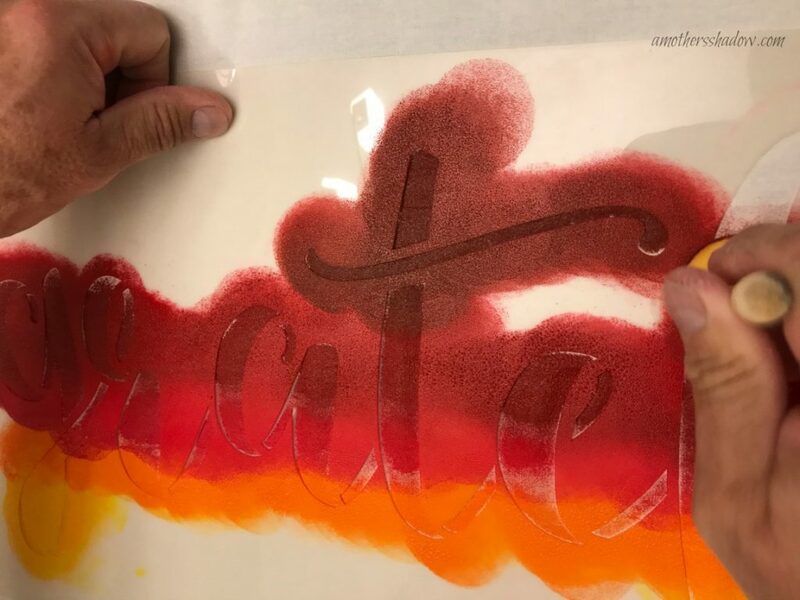 Cleaning the STENCIL REVOLUTION stencils is a breeze. 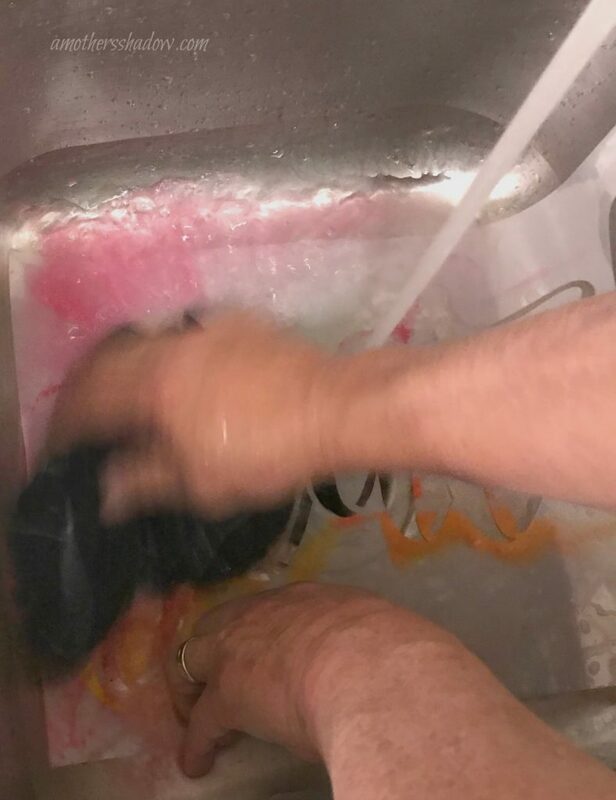 Simply scrub lightly with a soft cloth under running water. 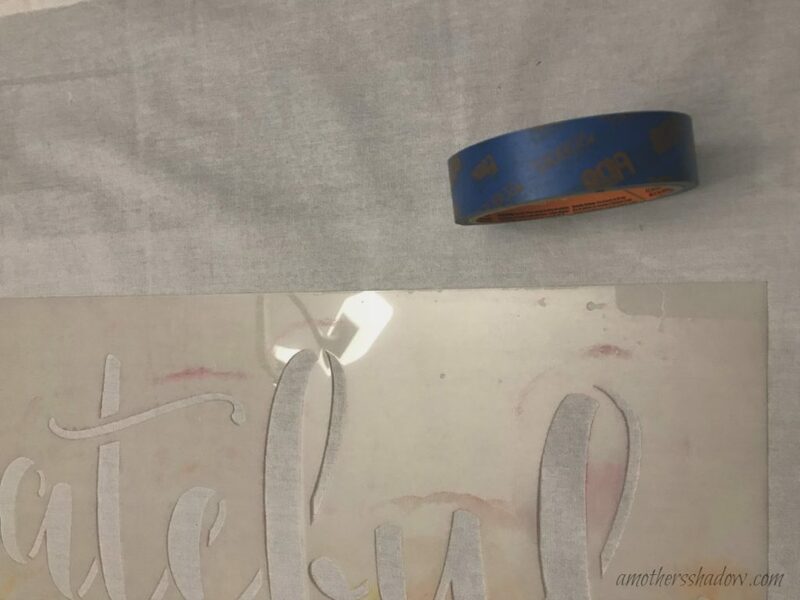 If all of the paint does not come off, or the stencil appears stained, it is OK. Our have been used over and over and over again, and they work perfectly!